Imagine an earplug that adapted to the sounds around you? Imagine an earplug that KNEW what level it needed to block out noise to protect your hearing? There may be times when you will go from a completely quiet environment, to one where your hearing could potentially be damaged, for example at a gun range or out hunting. In situations like this, normal earplugs will provide some kind of protection, but electronic ear plugs will provide you with the kind of protection you ABSOLUTELY NEED. We’ve taken a look at the top digital ear plugs that can provide you with the electronic ear protection that you need, and bring you our top 3 reviews here. .Brought to you by 3M is the Peltor TEP-100 Tactical Digital Earplug (you can get it on Amazon here). With this set of earplugs you will be getting two rechargeable and water resistant electronic ear pieces. You will also get four pairs of replaceable ear tips, a waterproof charging case that’s portable and a lanyard cord. If you are in law enforcement, the military or enjoy hunting and shooting, then these electronic earplugs will be ideal for your use, and the noise situations that you may find yourself in. If you will need to wear any kind of headgear such as a helmet, hard hat or other eye wear, then these will be compatible with them during use. The beauty of these digital ear plugs is that they reduce noise, while amplifying sounds at a lower level. Users enjoy the ability to block out loud noises, while still being able to hear other low level noises. One user reported wearing these for six hours straight, and while the physical impact was felt from the person next to them firing their weapon, their ears were not bothered. Another user in law enforcement stated that these were the best he had found. The user also mentioned that the product comes with earplugs in different sizes, so finding a comfortable fit is easily attainable. Want to learn more? Check out our peltor tep-100 review or go check out customer reviews on Amazon right here. .The Westone DefendEar Digital Shooter In Ear Hearing Protection Ear Plugs are designed with the shooter in mind. These in ear electronic ear plugs are best for shooting and hunting, and any other outdoor recreational activities. They will also do well in a tactical environment. The manufacturer states a hearing protection of 30 decibels, and amplification levels of up to 86 decibels. These plugs are also color coded so you’ll know which one goes into which ear and never have to guess. Westone has been around for over 50 years and is well known world-wide as “The In-Ear Experts.” They mastered this technology 30 years ago when rock musicians were asking for a product that could reduce the volume on stage, while still being able to hear specific things such as instruments and vocals. One user praised the various ear buds that came with this product. The user’s suggestion to find which ones worked best, was to turn up the volume on the television without the batteries in the ear buds, to see which ones blocked out the most noise. Another user who shoots regularly enjoyed the comfort of these, saying that earmuffs, which were normally uncomfortable, were no longer needed. The user said it muffled loud noises while amplifying lower noises well. .The manufacturer designed these in-ear electronic earplugs with the gun sport enthusiast in mind, saying that these ear plugs will provide protection not only from one-off firearm blasts, but also protection from continuous loud noises, which is perfect for the gun range where shooting noises would be constant. At the turn or flip of a switch, sound can be amplified for greater hearing awareness of up to five times the normal detection that can be found, which is extremely helpful in a tactical situation. A user, who also happens to be a firearms instructor, highly recommended these. The user said they were used all day in many different weather conditions such as heat, rain and wind with them working well and not interfering with sunglasses or other accessories. Another user mentioned taking this hunting and was able to hear all of the forest sounds, as well as people approaching. The ability to hear people was enhanced, and the user found the ability to hear them coming from a greater distance than normal. Other hunters and shooters mentioned the same thing that others had already mentioned above, noting the sound muffling and sound enhancing capabilities, as well as the comfort level found with these electronic ear plugs. If you have worked or even just been in a loud environment, such as a loud machine shop or at a shooting range, then you know how loud noises can and may already have affected your hearing. While passive options when it comes to earplugs may suffice, such as foam earplugs, that’s really more of one-way protection. What if your needs call for you to be able to block out loud noises such as gunfire, AND still be able to amplify other noises such as people approaching or conversations? In a tactical situation like the one discussed above, you will need something other than your normal over-the-counter earplugs. This is when you will need digital in ear hearing protection. 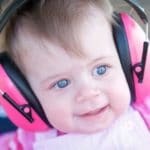 What is digital hearing protection? In ear electronic hearing protection, like active ear plugs, are like the smartphones of the hearing world. They can do so much more than just muffle noises. Digital shooting hearing protection will protect you from loud noises, AND will amplify any other noises that need to be heard. These types of earplugs will listen to the noises within your environment, and turn the noise reduction levels up or down to provide you with the protection that you need. Certain protection levels kick in when loud noises happen to give you instant protection for your ears. Many shooters, firearms instructors and law enforcement personnel use and recommend electronic ear plugs. While some have preferences over others, the ones you will find on our list above are three of the best on the market. There are cheaper, passive options such as foam or silicone earplugs, but they vary in noise reduction ratings (NRR) and only block out noise, NOT amplify them. You can also opt for shooting ear muffs, but these can often get uncomfortable and can interfere with other gear such as hats, welding masks and sunglasses. While these options are cheaper, if your needs are more critical in nature such as law enforcement or military, then you may not have any other options other than to opt for digital earplugs. Loud noises can permanently damage your hearing so it’s extremely important that you protect your hearing as best as possible. If you are in a field of work that absolutely calls for your ability to hear, then it is crucial that you protect your hearing as best as possible. While it may seem like a big investment to opt for active ear plugs over passive ear protection, it’s an investment that will pay off in years of normal hearing. You only have one set of ears and they must be taken care of. If you are in work, recreational or other activities that expose you to loud noises then you NEED to look into electronic earplugs. Failing to do so could cost you your hearing.